And he appears deeply concerned about a swelling national debt that he suggests could undermine the economy’s growth over the long term. He also linked this point — which is a fair one — to what “Trump style” means for Mr. Klarman’s constituency and others. I said I would update earlier but I wanted to let the idea roll for a while longer. With that I think taking a long VIX positon, as a mark beyond a form of hedging, is a losing bet. The futures structure just doesn’t work. The indices are upwardly biased. A long VIX position is incredibly time sensitive. Contango and roll yield (to the short side) eat up the long VIX position. On the other hand, the short side is pretty intriguing. I’ll write about that in the coming days. It’s far too involved to tap out on a phone. 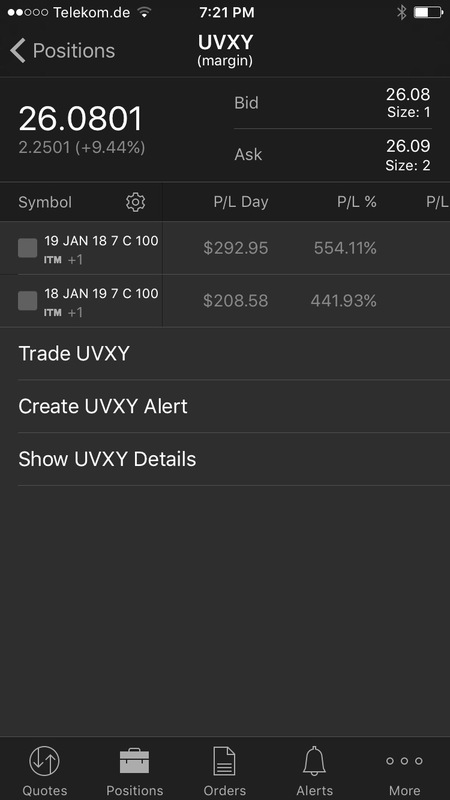 I closed the UVXY trade. Even though I made money, it wasn’t the way I anticipated. Still long commodities plays and Gilead. Under armour took a beating and is getting close to being worth a look. Twitter is down huge this morning but still no love from me there. Started evaluating Chuys this morning. Mostly my evaluation focuses more and more on small caps. Low or nonexistent sell side converage and little or no idea pressure. There is space for a activist micro-medium cap fund. I initiated the above 10 days ago as a sort of beta test. Timing was off but I’ll talk more on the why tomorrow. I’ve decided to farm out the Computer heavy work for this and another website I am working on. Know what you are good at and what you are not. Anyway, here are some threads, articles, and comments on the Passive, Active, AI heartburn the managed money industry and LP’s seem to be undergoing right now. BLUF: Fears of active managements death are overblown. Closet indexing (with a bull market especially) does not a fee justified model make. How can AM survive the move to passive indexing? The above is not exhaustive obviously but stokes the discussion. I tried to get past the popcorn journalism pieces declaring the end of active management. This is the first post of the week as I have been working on a login area for the site along with formatting updates. I’ve probably fallen too far down the rabbit hole with coding, but I’ll leave it where it is over the weekend. Hopefully the site will continue to be more readable over the coming weeks as I clean it up and give it a better look. Uranium has been in a huge selloff for several years. It looks like things may be looking up though with estimates approaching old highs through 2019. Silver Run launched to take advantage of energy prices in early 2016. With an IPO at $10 p/s and SPAQU currently trading at 17.56. Not a bad year. I like the idea of building out a vehicle to consolidate an industry, streamline efficiencies, and then scaling up as infrastructure is built out. I like the idea even more when it has to do with unsexy businesses that print cash and/or extremely crushed sectors. Oil and Gas last year, Housing 09 and numerous other instances in between. Is Uranium next? Anyone want to back my SPAC? Did you catch the Rhyme? How much will GDP grow in 2017?